I have had 2 big bags of green lentils I needed to use up. 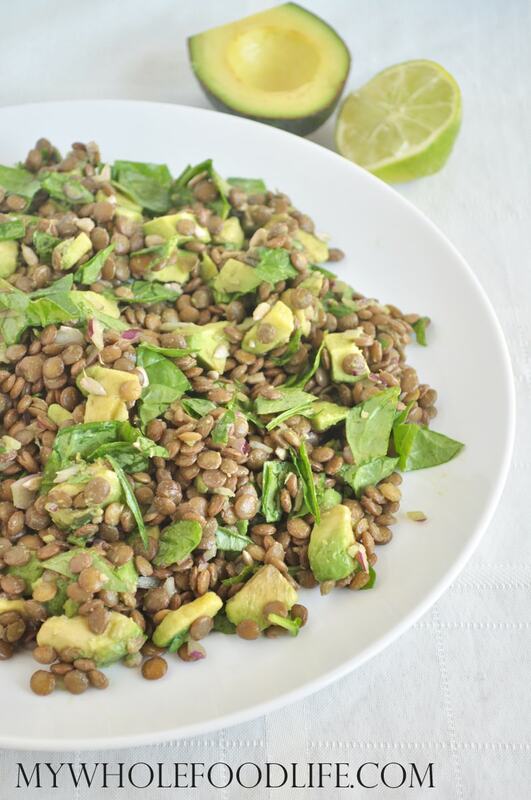 So today was the day to make this Lentil Spinach Salad with Avocado. Avocado makes everything better, doesn’t it? This lentil salad came out really good and it’s easy to make. Budget friendly too. If you like lentils too, you may also like my lentil sloppy joes and my lentil loaf. This makes a lot. About 4-5 servings. I think it is better the next day after the flavors have had time to marinate. It’s a great dish for a crowd. If you are new to lentils, this is the perfect dish to start with. A healthy, budget friendly salad! In a saucepan , add the water and the lentils. Bring to a boil, then turn down and simmer until all the water is absorbed. You may need to add a little more water if the lentils are not quite done. Once the lentils are cooled, add them to a serving bowl with the rest of the ingredients. Serve immediately or refrigerate for later. This should last 4 days in the fridge. Avacado's do make everything better!!!! And they look as if they make this salad more than perfect!! !